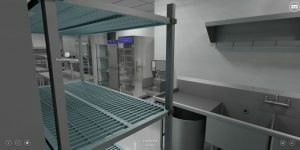 Having led the industry by early adoption of 3D design software, the next logical step for the Clevenger team was Virtual Reality, a computer-generated simulation of a three-dimensional environment that can be interacted with in a seemingly real way. Clevenger Associates has adopted the use of Virtual Reality as the next step in communicating design intent and understanding the needs of the client better. 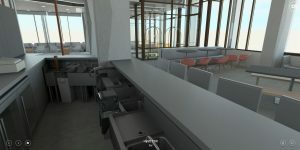 Much like Revit and 3D design provided added benefits for our clients in reviewing designs, Virtual Reality provides the next evolution of that collaborative process and is quickly becoming an amazing communication tool.